September is a popular time to commit (or recommit) to fitness goals. Kids are back at school, adults are back at work, and all those refreshing patio drinks, cool treats, and summer BBQs are finishing up for the season. 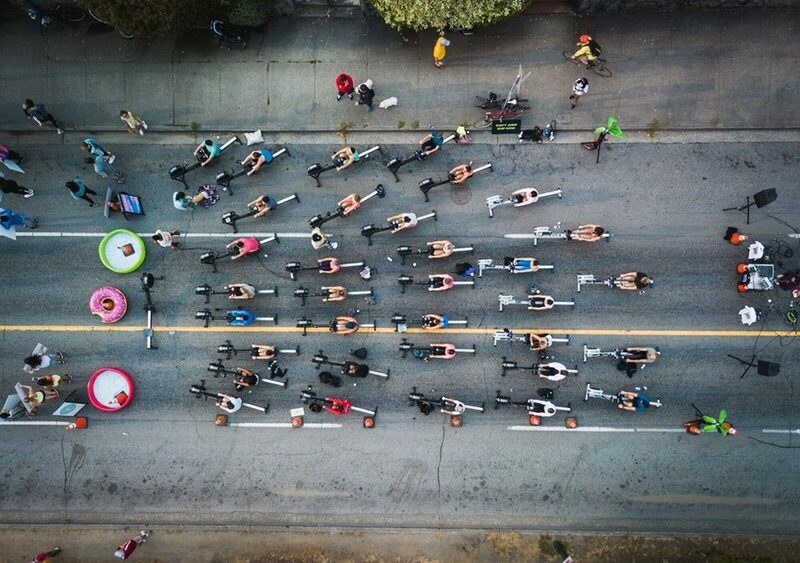 The key to starting and keeping a commitment to health and wellness is to have fun – and while you’re in Vancouver, the opportunities are endless! For indoor enthusiasts and those looking to maintain their regime, guests of The Burrard receive complimentary passes to the nearby Steve Nash gym. Those who enjoy the outdoors can go hiking, biking, or walking the seawall. 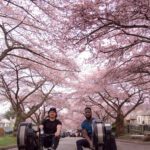 But, if you’re looking for a truly unique and fun fitness class, the following options are all a short distance from The Burrard and are the perfect place to break a sweat – and maybe crack a smile! 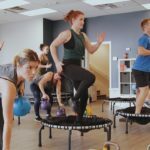 Unleash your inner child with a mini trampoline class at The Practice Studio. Choose from two options, Rise – an athletic conditioning and strength class, or Elevate – offering a full body and cardio workout. Both classes are low impact and lots of fun. Add some music and you’ve basically got a dance party! Can’t decide which class to take? First timers get unlimited classes for only $40. 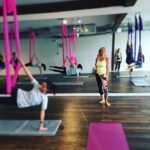 Swing from the ceiling at an aerial fitness class with Tantra Fitness. The introductory aerial arts class will give you a chance to try out aerial hoops and silks (think Cirque du Soleil). Hang out upside down in a class that challenges your strength and stability – with no experience required. Come prepared with long leggings (avoid loose clothing) and a camera for fun photo ops! First class is only $15. Don’t call it a barre class, this is Ballet Fit, a signature class only available at Ballet Lounge. Using the principles of classical ballet, the class is as much aerobic as it is about toning. Start at the barre doing a series of exercises before moving into the centre of the studio, adding in extra core and flexibility work. 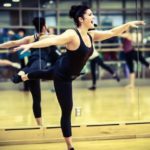 First timers must take the Level 1 class, but those with dance experience can move on to Level 2 classes after their introductory drop-in session. Sometimes you need to wrap your wrists and let loose. Take an introductory boxing class at All City Athletics, an underground boxing studio located in the city’s historic Gastown neighbourhood. This is a true-to-form boxing class with a focus on upper and lower body technique. Although it’s guaranteed to make you break a sweat, these classes are taught by experienced boxers who will also help build skills, footwork and introductory boxing combinations. Enjoy your first two sessions for only $20. Designed for those who are new to rowing, this gym class teaches the fundamentals of working on a rowing machine. Classes begin with a demonstration of correct form on the “erg” (that’s the rowing machine to the rest of us) and then move into a full upper and lower body workout. The functional rowing movement involves core work along with main muscle groups. All fitness levels are welcome in this low-impact group class. A single class costs $21. Grab some rest and relaxation during your stay in Vancouver by checking out our website for great rates!